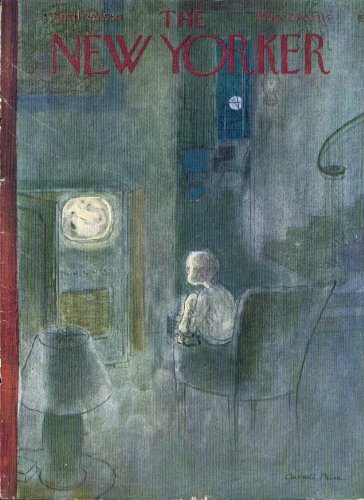 Original cover (only) from this issue of The New Yorker. [NOT the entire issue]. Sophisticated gift for birthday, anniversary or whathaveyou. Very good with flaws described if not visible in the scan. Defects such as writing, stains, tears, and other obvious flaws are noted in the description; if they are NOT noted, they are not present.